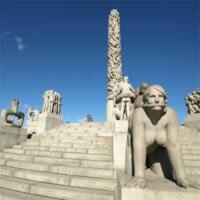 Vigeland Park, National Museum of Art, Architecture and Design, Kon-Tiki Museum, Munch Museum, Akershus Castle and Fortress, Aker Brygge, Akershus Fortress, Akershus Castle and Fortress, and so much more! Considered "the town of all towns in Norway" by locals and not only, Bergen is a great city with tradition and one of the most important economic centers in Norway. The famous hanseatic wharf of Bryggen will meet the tourists coming here by sea; tradition is the key-word in Bryggen, rebuilt in its initial form after many fire destructions; that's why it was named by UNESCO a World Heritage City. Bergen's natural scenery is amazing: the surroundings seven mountains offer scenic views and are accessible either by cable car of funicular railway; the unique fjords: Hardangerfjorden, Sognefjorden, Geirangerfjorden - invite you to a breathtaking boat trip. Bergen is also a cultural city and the splendid houses - today museums - of the famous composer Edvard Grieg and violinist Ole Bull are living proofs. The perfect Nordic Trio! Visit Oslo (Situated by a fjord and surrounded by hills and forests), Copenhagen (A cozy European capital, filled with stunning architecture, historic sites, world-class museums, and some of the best shopping and dining in Europe) and Stockholm (Built on 14 islands around one of Europe`s largest and best-preserved medieval city centers, with stunning and extremely varied scenery in every direction.) Travel between them by flight. This is a flexible package. Select your number of nights in each city, desired hotel and activities. Combine, Oslo and Copenhagen with flights between the cities. Combine Oslo, Bergen and Oslo with the EX train. Combine Reykjavik (an interesting mix of cosmopolitan culture and local village roots; theaters, museums, an orchestra and symphony against a stunning backdrop of undisturbed nature) and Oslo (tranquil parks and bustling urban centers with restaurants and bars; day trips to surrounding islands means there is always something worthwhile happening) with flights between the cities. An unforgettable vacation in Europe! This is a flexible vacation package. Select your number of nights in each city, desired hotel and activities. Make the most of your vacation package through Europe! Combine Copenhagen, Gothembourg, Olso and Stockholm with the Lynx and IC Trains. There is no shortage of museums, churches, parks, historic sights or activities to explore in these fascinating cities. This is a flexible vacation package. Select your number of nights in the city, desired hotel and activities. 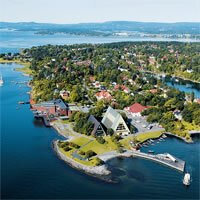 Combine Oslo, Kristiansand S, Stavanger, Bergen, Geiranger, Lillehammer and Oslo with a rent a car. Combine Copenhagen, Gothemburg, Stockholm, Karlstad, Oslo, Lillehammer and Oslo with the Lynx, X2000, IC and EX Trains. Perfect vacation. Every reservation worked out wonderfully. No complaints. Everything went perfect! This was out second trip with tripmasters and not our last! LOVE it!